Our Spanish Curly Lace Front Wigs are beautiful. Finelacewigs.com is your trusted source for Lace Front Curly Wigs designed to be the finest Curly Human Hair Wigs without mixing synthetic fibers. Our Spanish Curl texture is created by use of an advanced chemical free steaming process. When selecting your desired hair type it is important that your decision is based on the hair behavior as the appearance of the texture is consistent for each hair origin. What's the model wearing? 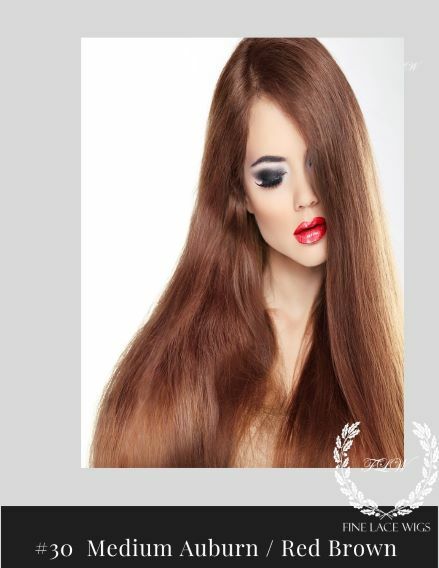 Hair Length: 18 inches - Hair Color: Virgin Darkest Brown - Hair Density: 100% to 120%. Cap Construction: Curly Lace Front Wigs with a Full Stretch Lace wig cap. 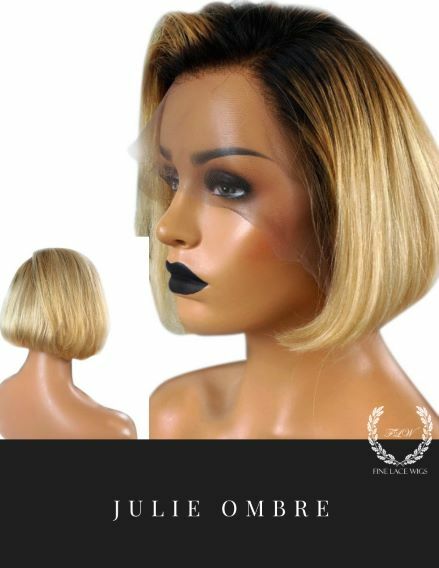 Our Front Lace Wig Cap is handmade and may be multi-directionally parted 3.5 inches from forehead to crown, 1.5 inches at temple, and 0.5 inch from the nape of the neck. The remainder of cap is constructed of micro thin hand tied hair extension tracks with an adjustable strap at the nape and 3 combs (combs may be removed upon request). The cap is ideal for low ponytails and offers the versatility of being applied with adhesive or as a Lace Front Glueless wig. Cap Material: Swiss Lace Front Wig Cap with stretch lace from crown to nape. Density: Our stocked density is 100% at the hairline gradually increasing to 120% throughout. For your convenience, we offer the option to customize your density to 150% in the hairline and crown areas in as little as 4 business days. Hair Color: Hair Color in the advertisement is Virgin Darkest Brown which is the natural color of the hair donor and closely resembles darkest brown hair. Click the stock options button below for additional hair color options. Although the texture is consistent for all hair colors only Lace Fronts ordered in Virgin Darkest Brown have chemical free, organic hairs that may by colored.